There are beaches with make shift bars set up in summer where it’s perfectly acceptable to binge drink in your speedos all day. A view you’ll only find by doing a mountain bike tour with Montenegro Plus. 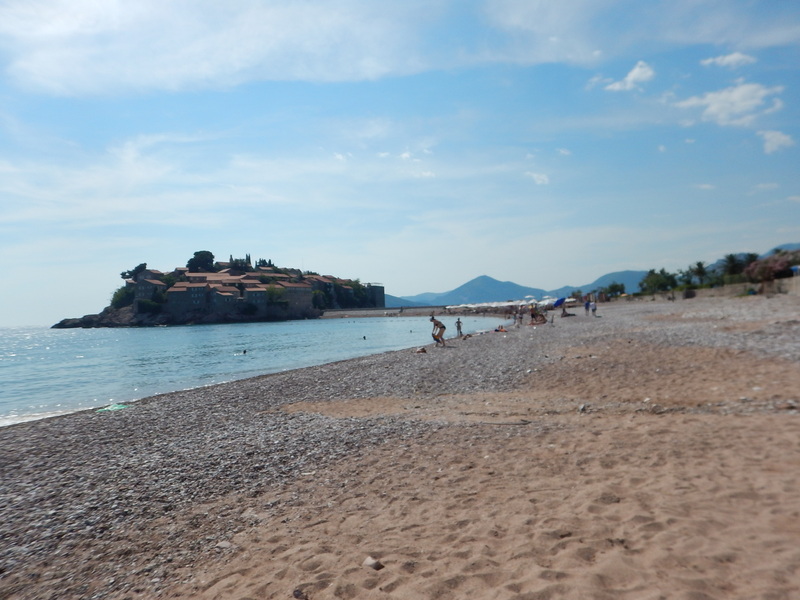 The beach by Sveti Stefan (Celebrity Island). 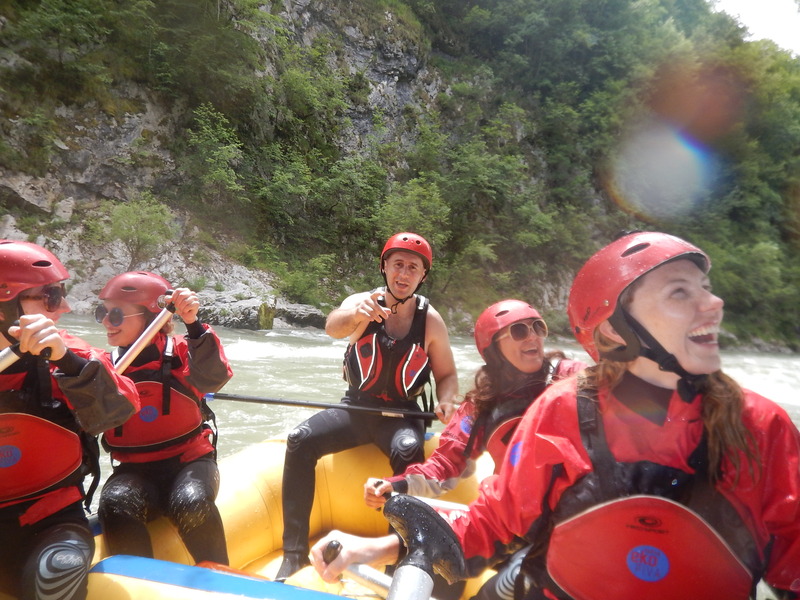 There’s heaps to do, such as mountain biking, visiting fortified, UNESCO heritage towns, white-water rafting, skiing, boating, kayaking, canyoning, hiking and, well, putting on a pair of speedos and drinking at a beach bar all day. 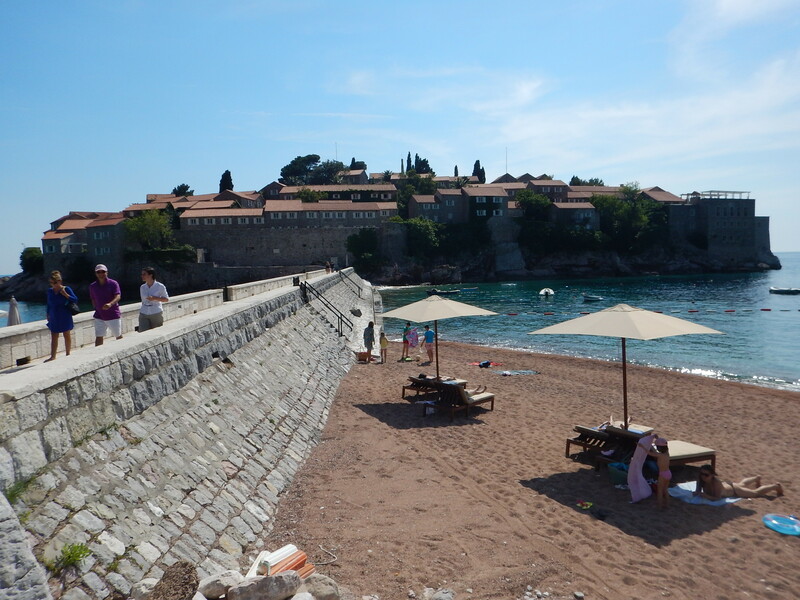 Also visit Sveti Stefan (Celebrity Island), Our Lady of The Rocks (an island church) and definitely don’t miss the stunning drive up to the Njegos Mausoleum on Mt. Lovec. 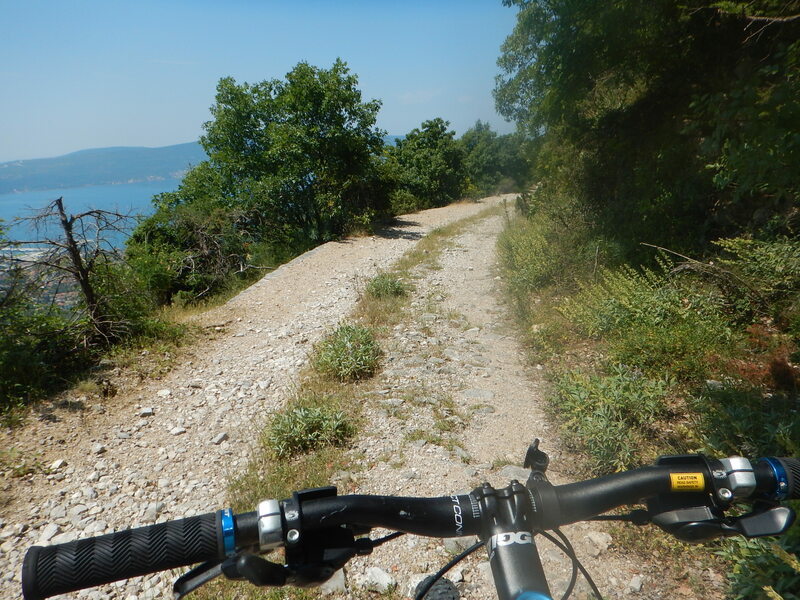 A leisurely mountain bike with tour company, Montenegro Plus. Njegos Mausoleum, Mount Lovcen. Inside lies a famous local poet’s grave. ABOVE: The Sveti Stefan (Celebrity Island). A nice day trip to the beach. Buy a few local beers from the local supermarket and enjoy. 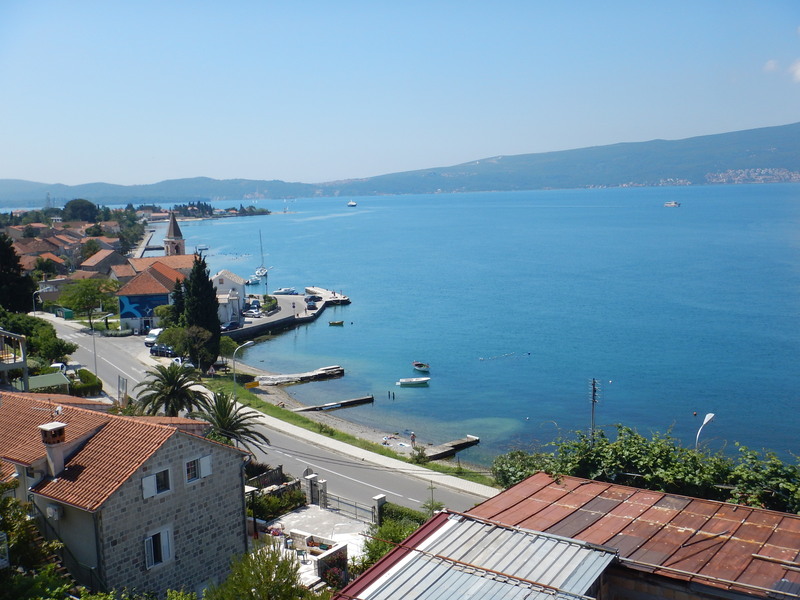 I stayed in Jana apartments on the water just outside Tivat and would highly recommend it. It was only 40 Euros a night for a two bedroom apartment with air conditioning…and well, just check out that view below.